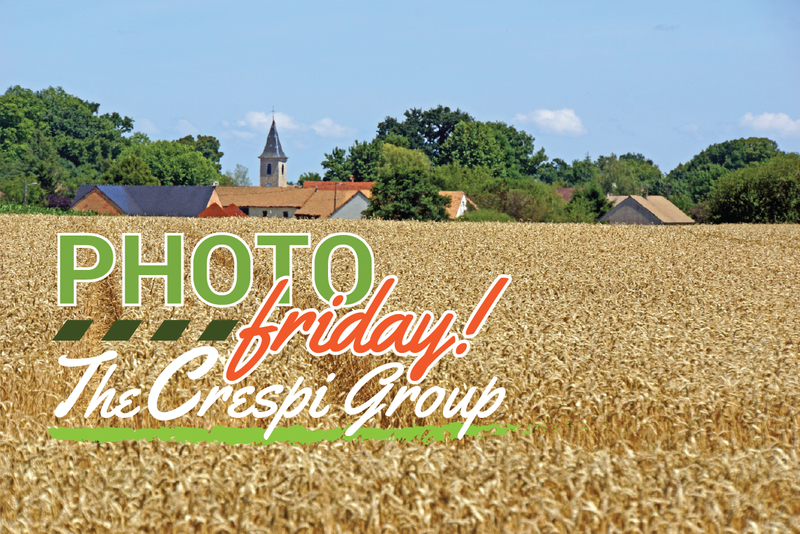 This week's Photo Friday post features some wonderful pictures from our friends in The Crespi Group. 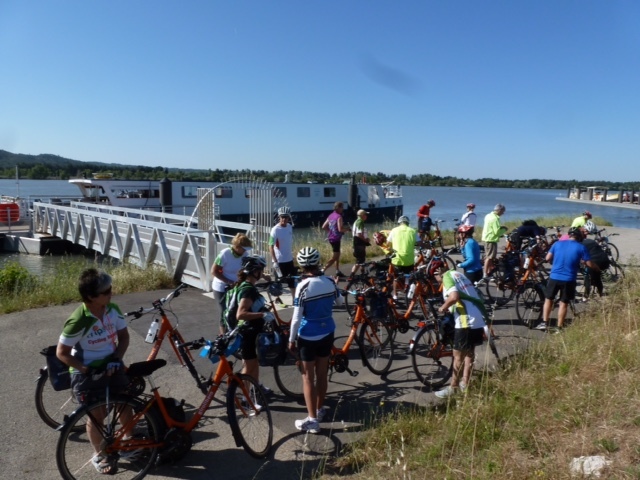 Pam Crespi and Kimela Hancock recently returned from a bike and barge tour in France and share some of their experience below. Enjoy! 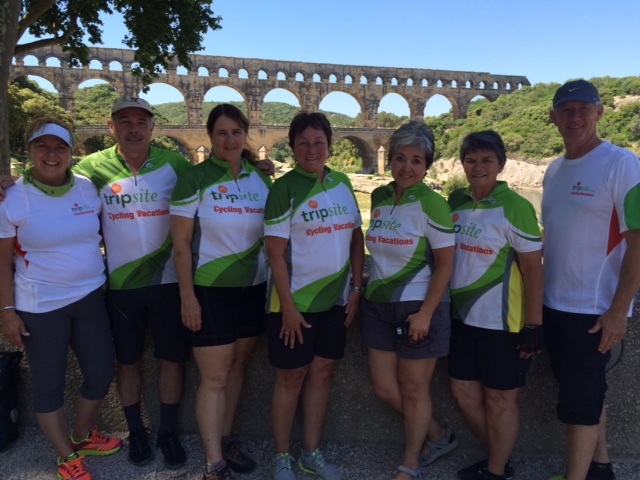 Kim, Mike, Cheryl, Pam, Rebecca, Suzanne and Chuck from San Diego and Sacramento, California, Kure Beach, North Carolina, and Alexandria and Arlington, Virginia wearing our Trip Site Jerseys at the Pont du Gard. This was the fourth bike trip for this group of friends. 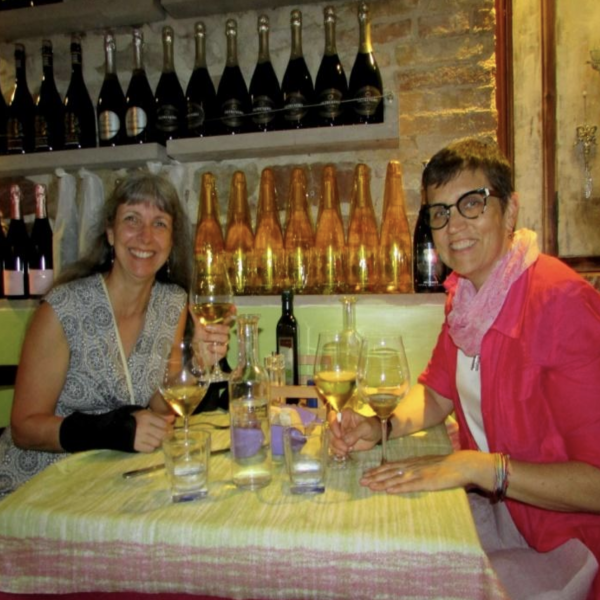 The annual trip started as a 60th birthday excursion for Pam and has continued for the past four years. 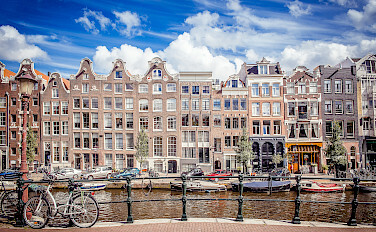 Each year a different member of the group chooses the location. 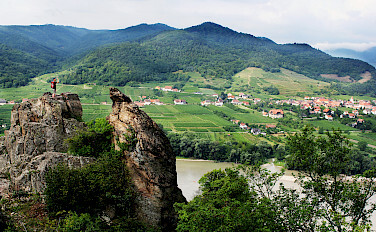 We’ve been on a bike/boat trip on the Danube River between Passau and Vienna, a bike/hotel trip in northern Italy, and a bike/barge trip from Bruges to Amsterdam. 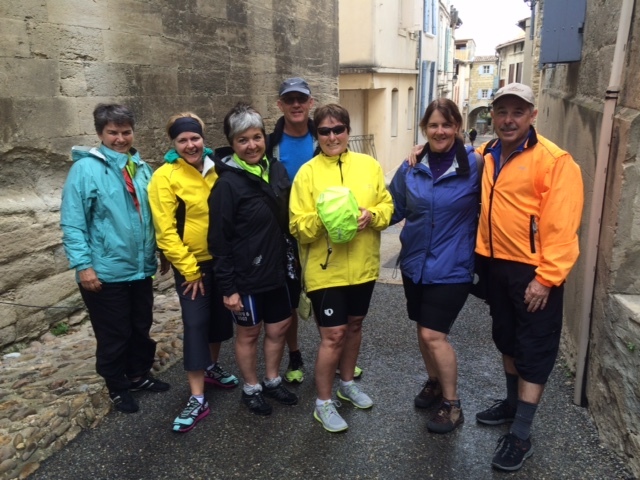 Rain didn't dampen our spirits as we explore charming French towns. 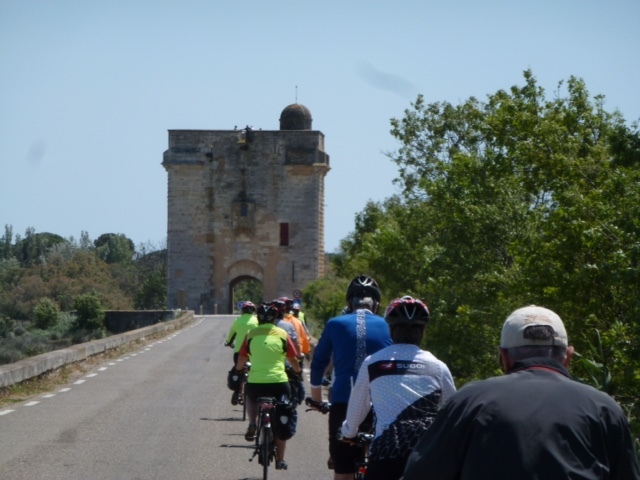 This current trip was a seven day bike/barge trip onboard the Soleo in the Camargue region of Provence in southern France. 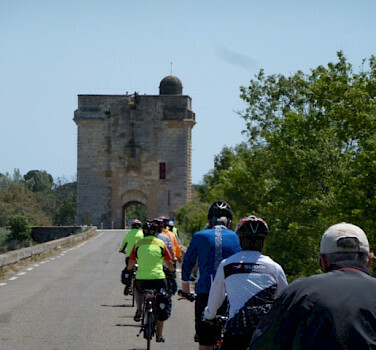 The seven of us and 15 other bikers from New Zealand, Canada, Australia, and the U.K. biked in and around Avignon, Vallebregues, Arles, Aigues-Mortes and Montpellier, France. The average age of the bikers in our group and the bigger group appeared to be about 60 or 65. 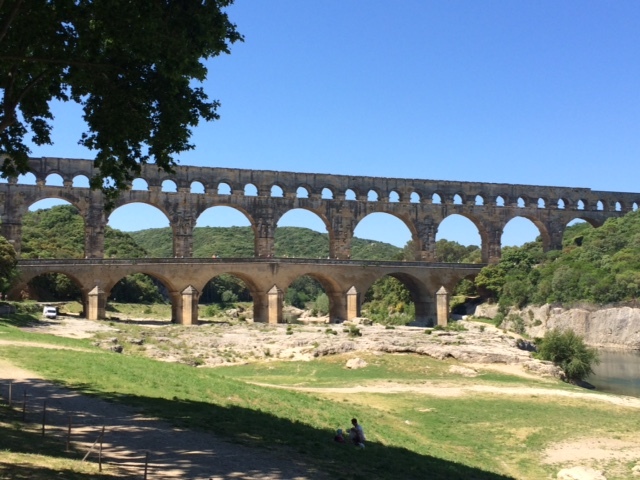 The Pont du Gard was known by us, but seeing it certainly made our eyes pop out. This Roman aqueduct is believed to have been built between 40 and 60 AD and delivered water to the Romans who lived in Nimes some 12 miles away. However, the aqueduct wound through the mountains and was actually 31 miles long. 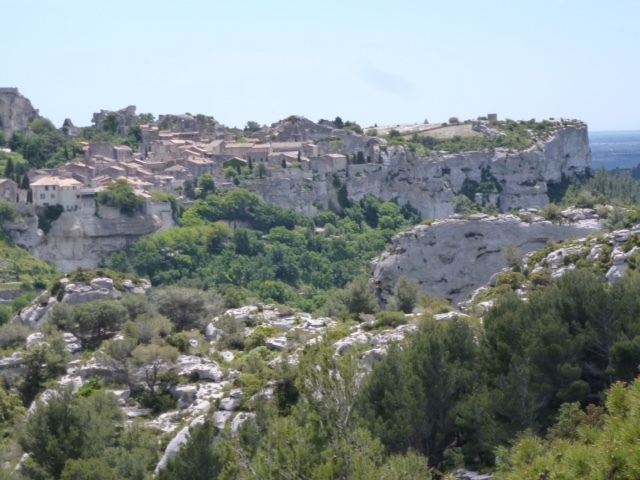 Les Baux des Provence was another eye popping discovery that none of these well-traveled bikers had heard about. 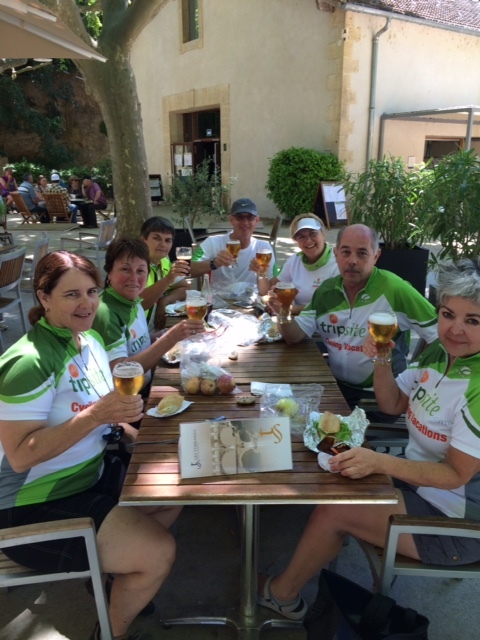 It is set in the Alpilles mountains and reached by a very steep climb, which all but one of our group was able to conquer (several on electric bikes). 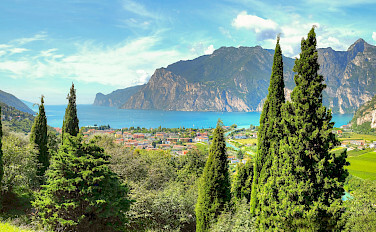 From our vantage point, it was difficult to differentiate the town from the limestone mountains, but another short ride and shorter hill later, introduced us to this most picturesque village. When not eating the deliciously prepared dinners on the Soleo, our biggest challenge was the French custom that restaurants serve dinner AFTER 7:00. Invariably, such as when we arrived, we were ready for dinner several hours before that. When we would ask for a recommendation in one of the hotels in which we stayed before and after the barge trip, the French hotel staff would greet us with a quizzical look. Why would we even think of eating at this time? It wasn't lunch and it wasn't dinner. 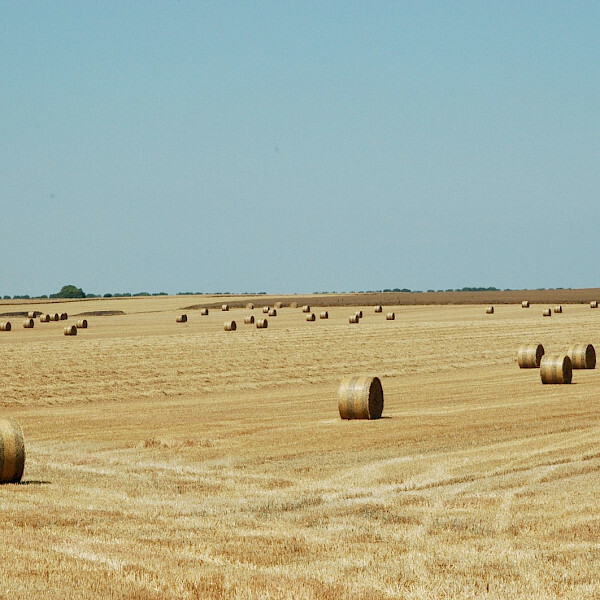 Our favorite activity of the day! 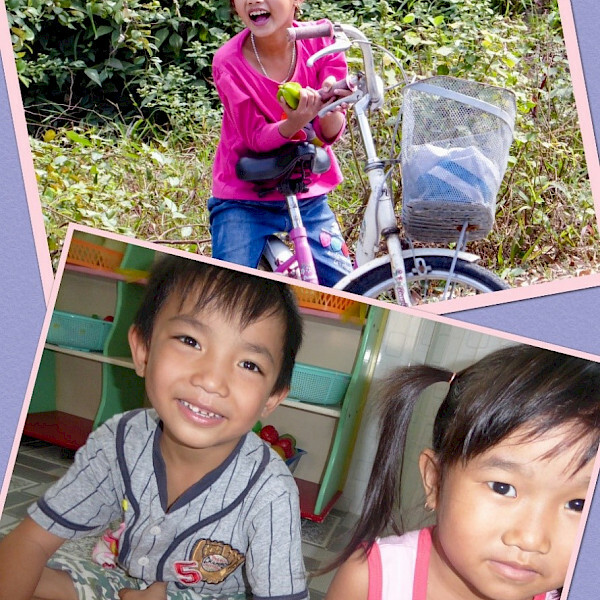 Our next bike trip is Vietnam and Cambodia in December 1015. 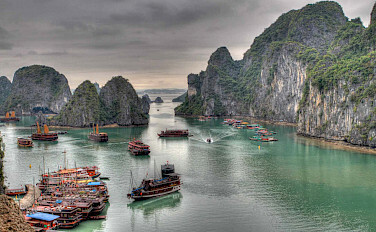 We will visit Hanoi, Saigon, Siem Reap and other historical cities.